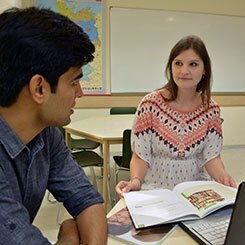 The Goethe-Institut is the world's leading provider of professional development for German teachers – in India, in Germany or via distance learning. We provide you with up-to-date material and interactive services. Find out about events held by the Goethe-Institut for teachers. We tell you about selected competitions and events organised by the Goethe-Institut.